The protests have forced the closure of shops and educational institutions, and transport services have been hit. 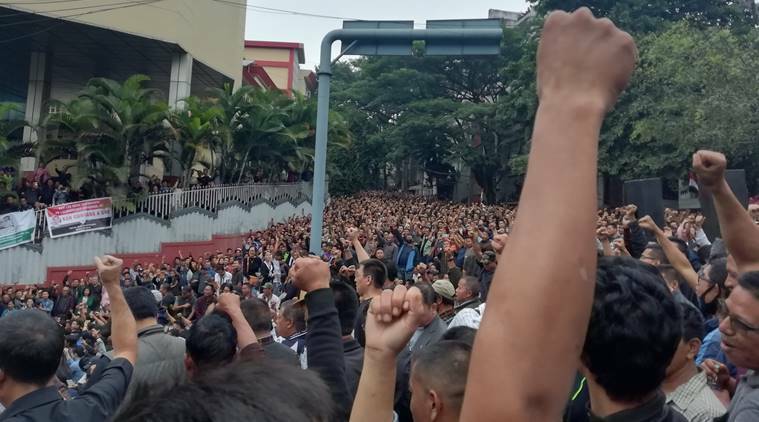 Thousands of Mizos led by an umbrella organisation of civil societies and student bodies on Tuesday took to the streets in Aizawl, demanding the removal of state chief electoral officer S B Shashank. 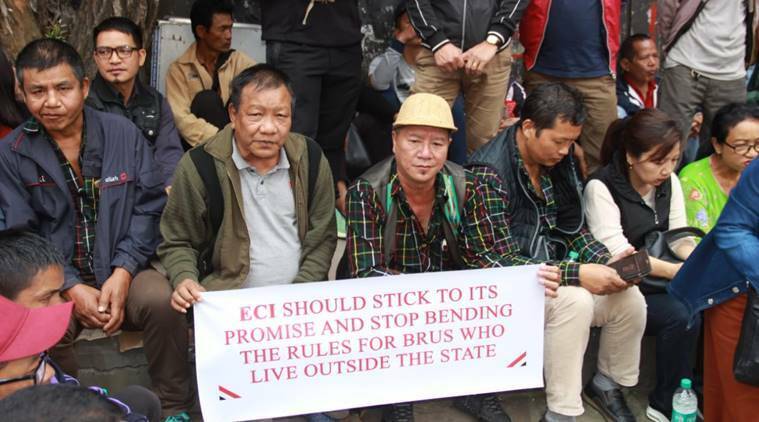 The protests have forced the closure of shops and educational institutions, and transport services have been hit with the Aizawl Bus Owners Association and Taxi Drivers and Owners Association extending their support. “This is not the first time we have issues and protest against the Brus and its supporters. We have sent several pleas to resolve the issues many times, but with no proper response. While our chief elector officer request was met in no time, our demands continue to fall on deaf ears. I’d rather call them Bru election commission not election commission of India,” he added. 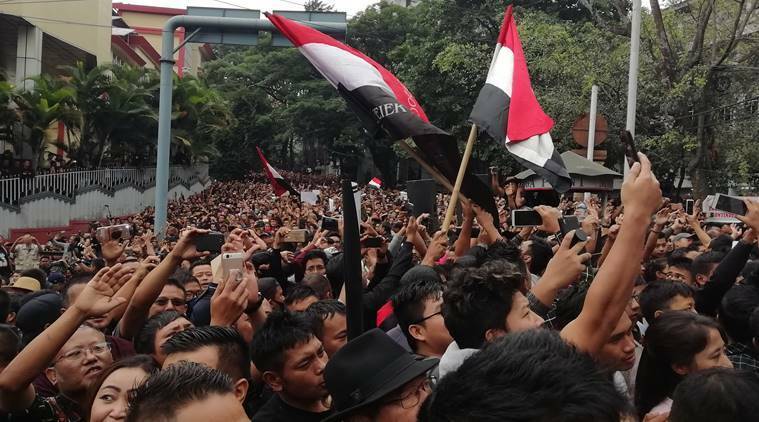 Also addressing the gathering, Ramdinliana Renthlei, president of Mizo Students Association (MZP), said the message to the Election Commission of India was simple: “Either remove the CEO or we will make this fight just the starts. Stand for us or beware. If the bru people cast their votes outside Mizoram, youths of Mizo will do what we have to. Meanwhile, the EC sent a team to hold talks with the protesting groups. The team of EC director Nikhil Kumar, secretary S B Joshi and Jharkhand chief electoral officer Lalbiaktluanga Khiangte met the NGOs at the chief secretary office. However, with the EC delegates failing to meet the demands, the NGOs will continue their protest on Wednesday, said Vanlalruata. Away from the protests, an online campaign demanding Shashank’s removal has been dominating social media conversations in Mizoram. Sports celebrities including Youth Olympics gold medalist Jeremy Lalrinnunga, hockey star Lalremsiami and India football star Jeje Lalpekhlua are among those who expressed support in the campaign. The protests against Shashank began after he wrote to the EC, alleging direct interference from the Mizoram government and principal Secretary (Home) Lalnunmawia Chuaungo in the revision of electoral rolls for the upcoming state elections. Shashank also requested the removal of Lalnunmawia from his post, to which the EC responded with a transfer order.